At the very end of the 1800's, the Upper East Side's Bohemian National Hall was built as a social hall for the city's Czech and Slovak immigrants. 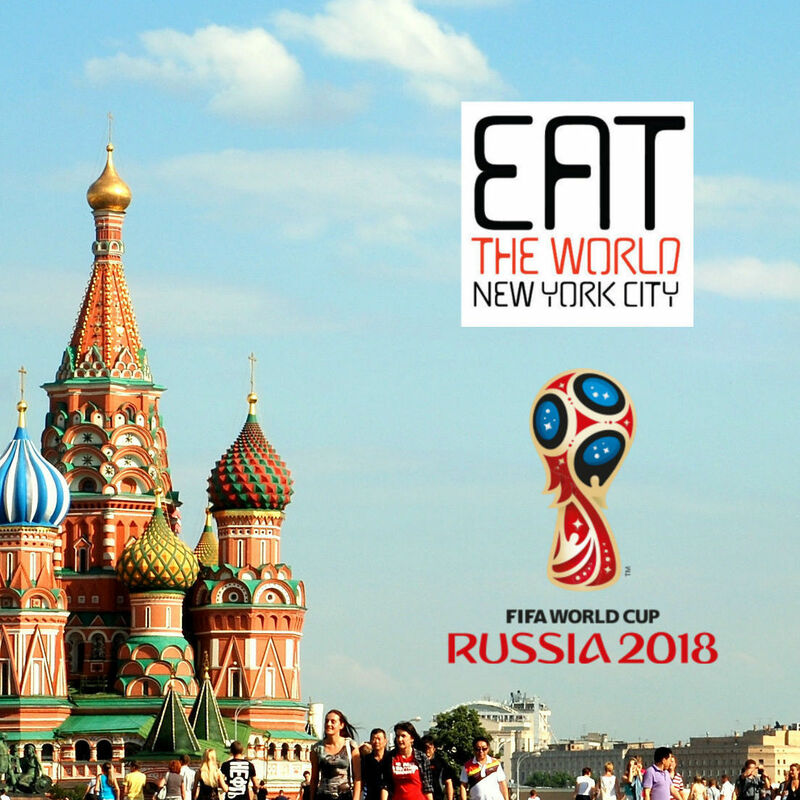 Over the past 120 years it has continued doing this with language courses and consular services, and for as long as a New Yorker living here for 17 years can remember, has also had some sort of Czech cuisine attached. 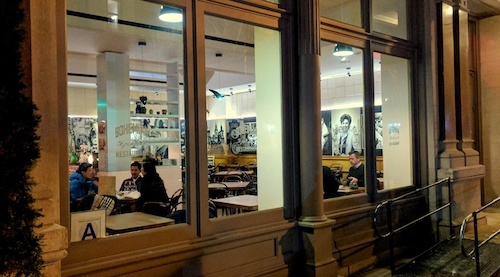 Open for a couple years now is Bohemian Spirit Restaurant, a casual place with a slightly upscale feel. 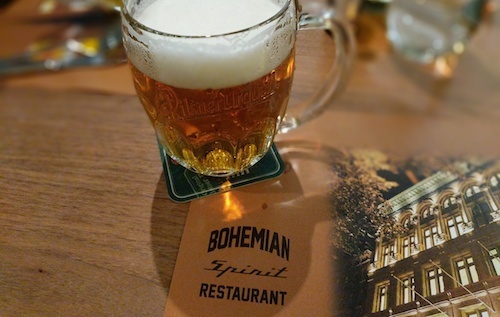 Even without an appetite, it is a wonderful place to come for Pilsner Urquell. 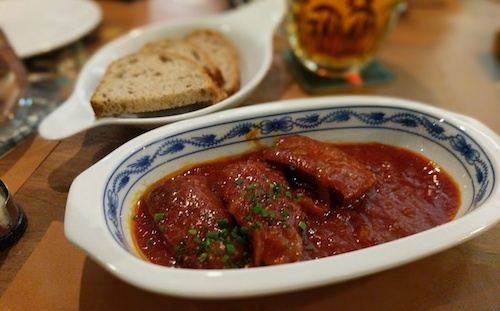 A small but tasty entry into the meal is with the beer roasted sausage ($8, below), which are served with a nice rye bread. With half liters of pilsner already flowing, it was hard to catch the beer taste in here, but the sauces are very rich and nice. 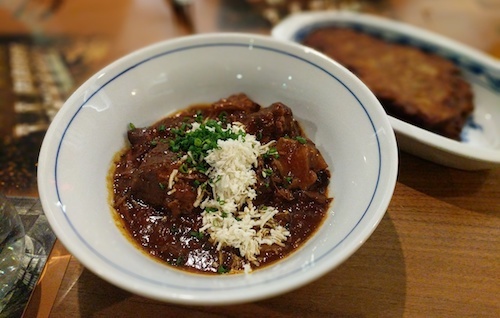 It would be no great surprise for someone in your party to order the hovězí guláš ($16, below), a popular beef stew cooked throughout Central Europe. The goulash here comes with a side of potato pancakes and is drizzled over with horseradish. 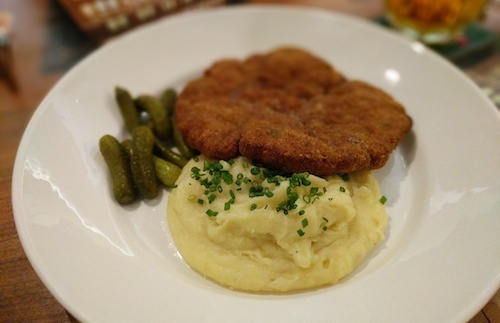 The daily special (always $16) on the night of our visit was Holandsky rizek, or Holland schnitzel. In the spirit of "French" fries, this was invented by the Czechs and is not an import from the Netherlands. The Dutch part comes from gouda cheese that is part of the fried veal patty. It is served with a side of mashed potatoes, but actually pairs well with a little bit of goulash. 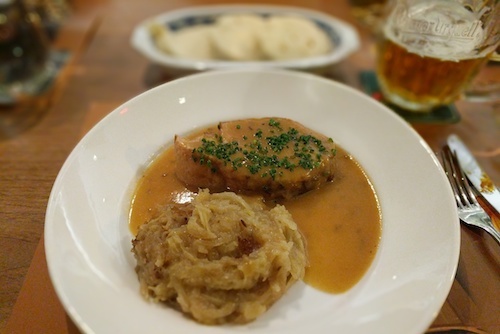 The preferred dish of the night may have just been vepřové pečeně ($18, below), roasted pork loin served with sauerkraut and bread dumplings. There is enough gravy here for the bread dumplings to become scoops of savoriness, while this cut of meat seemed to the one done just right. For those with a bit of space left, the fruit dumplings ($8, below) make a sweet finish. 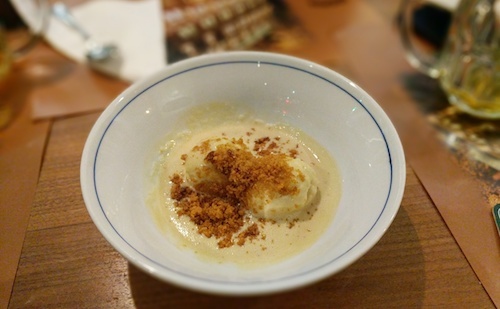 The "sauce" is a dark beer foam, and crumbled gingerbread adds to the sugar rush.